Guwahati is the largest city in Assam well-known as the commercial centre. Colleges in Guwahati offer exclusive education to the students with largest number of certified colleges. Guwahati is a major destination for education. Students from different part of the country come to Guwahati for gaining higher education. Institutes with national importance and research centers of excellence are located in Guwahati. Guwahati is the preferred location for study by number of students. Several prominent colleges are located in Guwahati such as Army Institute of Nursing Guwahati, Asian Institute Of Nursing Education, Asom Shikshak Prashikshan Mahavidyalaya, Assam Engineering College, Assam Government Homeopathic Medical College and Hospital, Assam Institute of Management, B.R.M. Government Law College, Banikantha College of Teacher Education, Dispur Law College, Gauhati Commerce College, Gauhati Medical College and Hospital, Goalpara Law College, Guwahati Architecture College, IHM Guwahati, IIT Guwahati, J. B. Law College, K C Das Commerce College, NEF College of Management & Information Technology, NEF Law College, NIPER Guwahati, North Eastern Regional Institute of Management, Regional College of Nursing, Swahid Jadav Nath Government Homeopathic Medical College etc.Indian Institute of Technology (IIT) Guwahati has given needed momentum to the technical education. In a short span of time IIT Guwahati has gained an admiring comment, nationally and internationally. Army Institute of Nursing (AIN) is recognized by Indian Council of Nursing (INC). It offers undergraduate course in nursing which is of three and half year duration, six month of training (internship) is part of the curriculum. Asian Institute of Nursing Education offers a course in nursing, at both undergraduate and post graduate levels. It is affiliated to Gauhati University and recognized by the Indian Nursing Council. The main vision of Asian Institute of nursing education is to provide quality education to its aspirants. Asom Shikshak Prashikshan Mahavidyalaya or Asom Sikshak Prasikshan Mahavidyalaya offer one year of Bachelor of Education (B.Ed) program and it is approved by National Council for Teacher Education (NCTE), New Delhi and finds its affiliation from Guwahati University. Assam Engineering College was the first undergraduate engineering college in the northeastern India which is affiliated to Guwahati University and approved by the All India Council for Technical Education (AICTE), Government of India, New Delhi. It offers courses in the field of engineering, at the undergraduate and postgraduate level. Assam Government Homeopathic Medical College and Hospital is affiliated to Gauhati University. It offer Bachelor of Homeopathic Medicine & Surgery (BHMS) degree course. Assam Institute of Management (AIM) was established by the Government of Assam. It is the only institute in north eastern part of the country that conducts IIM grade Post Graduate Diploma in Business Management (PGDBM) course. The course is a two-year program which has been approved by All India Council for Technical Education (AICTE), New Delhi. B.R.M. Government Law College or Bishnu Ram Medhi Government Law College is the oldest and prestigious institutes for education in the field of law, in India. It is affiliated to Gauhati University and approved by Bar Council of India (BCI), Government of India, New Delhi. Undergraduate degree level- Bachelors of Laws (LLB) a three-year program is offered by Bishnu Ram Medhi Government Law College. Banikantha College of Teacher Education is affiliated to Guwahati University and approved by the National Council for Teacher Education (NCTE), New Delhi. It offers one year duration Bachelor of Education program. Dispur Law College Affiliated to Gauhati University and approved by Bar Council of India (BCI), Government of India, New Delhi. It admits students to its undergraduate course in the field of law - Bachelor of Laws (LLB). Gauhati Commerce College Affiliated to Gauhati University. 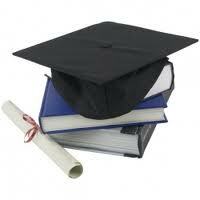 It offers education in the field of commerce at under graduate and post graduate level. Gauhati Commerce College also conducts one year postgraduate diploma in computer applications and certificate course in computers, two years of higher secondary program of Assam Higher Secondary Education Council (AHSEC) in the field of commerce. Additional facilities provided by the above colleges of Gauhati are Library, Student’s Council, Hostel, Guidance and Counseling, Educational Trip, Modern Classrooms, Laboratories, Anatomy Museum, Playgrounds, Medical facilities, Auditorium, Computing and internet facility, Training and placements, Transportation, Food production lab, Cultural programmes, Canteen, Well equipped class rooms etc. Get connected to different colleges in Guwahati which is just a click away. StudyguideIndia will provide you the information as required by you. Information which is provided here is correct. If at all you come across any errors you are requested to kindly let us know. "Following are the list of Colleges in Guwahati. All Colleges in Guwahati are divided location wise. We have even listed Colleges in Guwahati as per alphabetical order making it easy to find the desired college and information on it. If you come across any College in Guwahati which is not found in our list below, please do let us know by using add in list which is default in our website”.